The Lahore High Court has ordered the Orange Line Metro Train construction companies to immediately vacate the Punjab University playground and pay the rent for using the land. The court observed that if the rent was not paid, then the machinery would be confiscated. 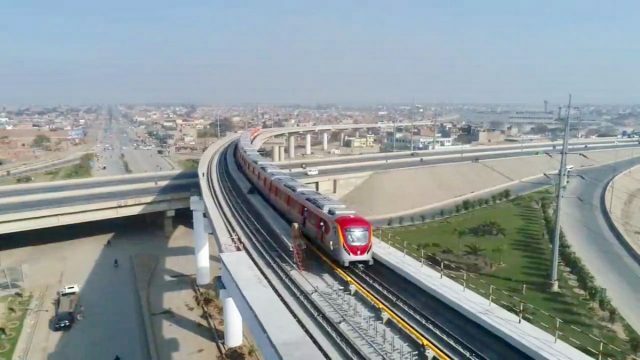 Justice Ali Akbar Qureshi passed the orders while hearing a petition challenging the use of playgrounds of the Punjab University for construction of the Orange Line Metro Train in Lahore. Earlier, the petitioner’s counsel argued that as per law, a land allotted for a park could not be used for any other purpose. He stated that the PU administration violated the law and handed over the ground to the government or companies for storage of construction material. He pleaded with the court to refer the matter to the National Accountability Bureau. The University’s counsel submitted that former Vice Chancellor Mujahid Kamran gave the land to the construction companies without obtaining approval from the syndicate. The court adjourned the hearing till Sept 10.